Protect yourself when using chemicals around your home with a respirator. 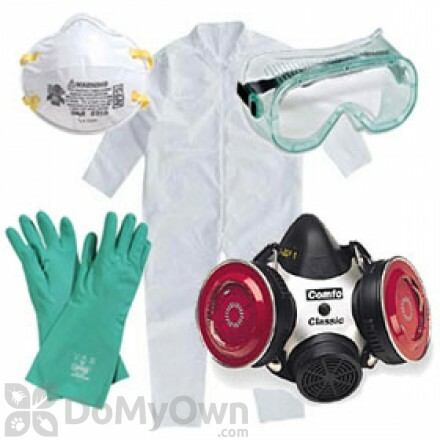 Respirators prevent you from breathing in any vapors or fog that result in mixing and using chemical pesticides, herbicides, and insecticides, and can help with the pungent smell of natural and organic products. Comfortable fit half-mask respirator that filters 99.97% of contaminants including dusts and oil-based aerosols and fogging insecticides. P100 Cartridges for use with the Comfo Classic Respirator. Filter 99.97% of particulates including aerosols and fogging insecticides. Comfortable N95 respirator mask filters out 95% of dusts and water-based aerosol particles from the air. 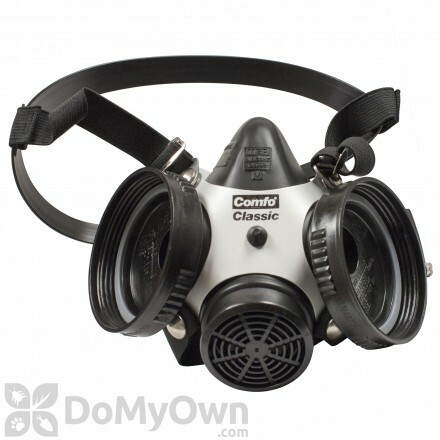 A dual purpose mask with comfortable head strap and canisters that perfectly protects the user against organic pesticides and fumigants containing Methyl Bromide and Pyrethrin. 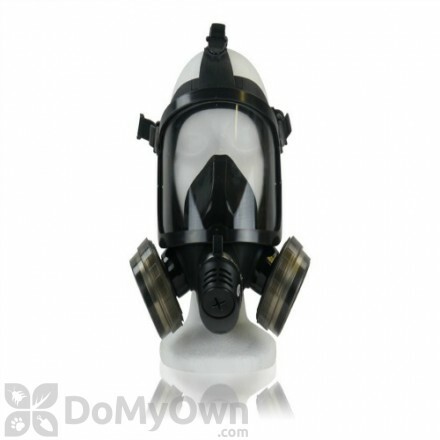 A dual purpose mask with comfortable head strap and canisters that perfectly protects the user against organic pesticides and agrochemical fumigants such as Methyl Bromide, Sulfuryl Fluoride, Methyl Iodide. Personal protective equipment (PPE) is a very important part of any pesticide applications, but choosing the right equipment is difficult because of the vast number of products available. You might think you can get away without respirator or mask, but exposure to certain chemicals in airborne pesticides can damage or destroy parts of the respiratory system. The lining in the respiratory system easily absorbs the dusts and vapors and the chemicals quickly move through the body. Besides the serious health risks, some products may require you to use a specific grade respirator by law. Not all respirators are created equal. Each style of mask serves a specific purpose and might now give you the right protection you need. The product you are using will explain the kind of mask needed for application. Below is a list of common types of respirator masks with the proper usage and grade of protection. 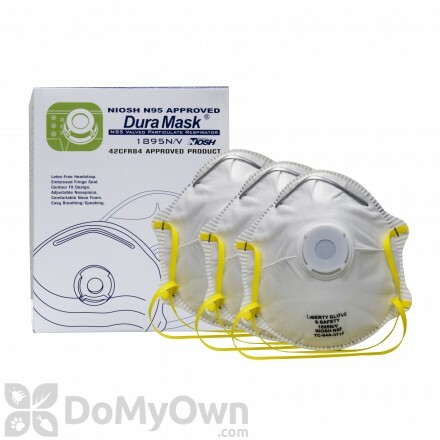 Nuisance dust masks: These are simple masks held in place with an elastic band. Nuisance dust masks should only be used when particles are large and non-hazardous or when there is a low level of toxicity. These should not be used when mixing or applying pesticides. Gas masks: Gas masks are full-face respirators with a filtering canister that gives protection to eyes, nose, and mouth and provides a very good seal. 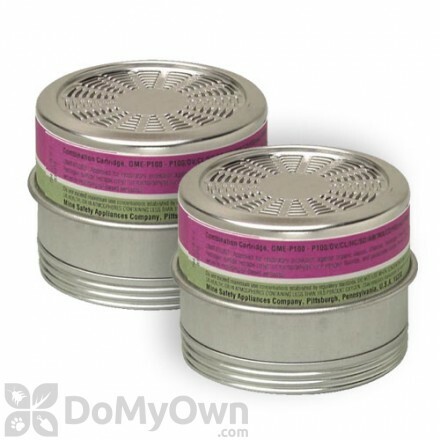 While our respirators use filtering canisters, the specific cartridges we sell are not labeled for gas. 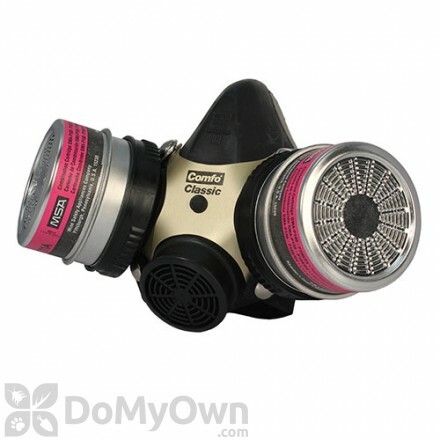 Cartridge respirators: These have replaceable filters and can come in half or full masks. These are common pesticide and other chemical applications. The key to choosing proper PPE is always to completely understand the product’s warnings, instructions, and precautions. The labels will always give you the guidance for your protection. See our entire selection of professional pest control equipment for additional supplies and tips to keep you safe.